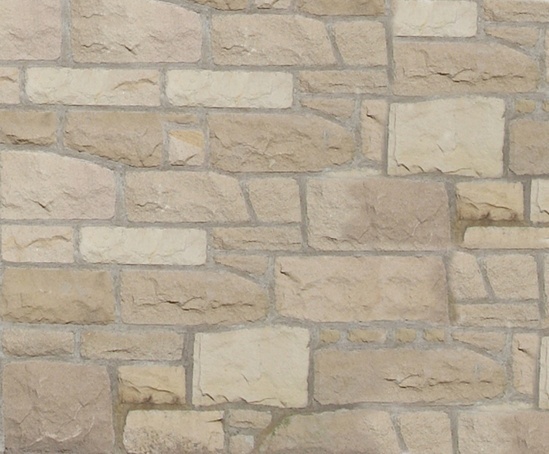 Tradstocks' Mixed Buff walling stone is hand finished and ready to build. The stone is generally supplied in 100/120/150mm bed widths to suit modern construction methods. Split, pitched or aged finishes are available to suit individual requirements. Random walling comes stacked on a pallet or in a 1 tonne bag and has an approximate built coverage of 6m² per pallet/bag. Random walling can be built to a semi-coursed or random construction.